Add the beauty, style and elegance of butterfly art to your home decor or jewellery, without harming endangered butterfly species. It is not surprising that butterfly art in its many forms has taken off in such a big way. Butterflies are one of the most delicate and ethereal of all living creatures and when translated into a work of art, the results can be simply breathtaking. And because every butterfly comes with its own unique and distinct coloration, butterfly art takes on a whole new dimension. Butterfly art includes any creative work is either butterfly shaped or contains butterflies, real or man-made. Butterfly art using real butterflies is neither cruel nor harmful to the butterflies nor does it decrease their population. The specimens that are used in butterfly frames are usually got from butterfly farms. These butterflies are not killed. They die of natural causes after having lived their entire 30-day life-span. They dead butterflies are collected and then preserved and used in different creative ways. Great care is taken while collecting and handling to make sure the delicate wings do not get damaged, unlike butterflies caught in the forests whose wings invariably get bruised and damaged and cannot be used. Five beautiful butterflies from the rain forests of Brazil are featured in this 9″ inch framed display, suitable for home or office decorating. All sales controlled by the Brazilian Environment Department, obtained under license and from legal suppliers, not harming the diversity of our marvellous forests. It is almost impossible to describe with words the sheer beauty and elegance of a butterfly display. Butterfly wings are delicate and come in vibrant and iridescent colors that have names of their own because they are not found anywhere in nature. The undersides of the wings, though not the same as the upper side, are often as colorful and beautiful. 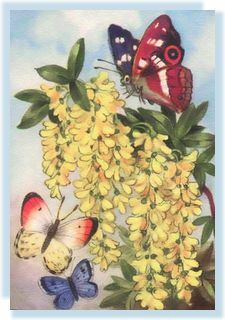 The versatility of butterfly art is unrivalled. A blue butterfly frame that consists of just blue butterflies is no less colorful than a butterfly display containing butterflies of many different colors. Butterfly frames make an interesting addition to any room and can be a great conversation piece. They also make unique gifts for any special occasion. Better viewing – Butterfly wings are as beautiful on the underside as they are on the upperside. What’s more, sometimes the underneath of the wing has a different color and pattern as compared to the top. Clear acrylic butterfly frames let you view the upper as well as the lower side of the butterfly wings simply by turning over the case. Perfect seal – Acrylic butterfly frames can be sealed airtight. This protects the specimen from any atmospheric changes, particularly humidity thus providing the ideal environment for indefinite butterfly preservation. Enhanced display potential – An acrylic butterfly frame allows you to mount the butterflies on slim, clear rods, giving the appearance that the butterflies are in mid-flight or are free-floating. The rods can be tilted and angled to showcase certain butterflies to perfection. Besides butterfly frames and mounted butterflies, you can also get beautiful and intricate, handcrafted jewelry made by embedding butterfly wings in clear enamel resin. Butterfly jewelry is considered the perfect gift for the person who has everything. Every piece of butterfly jewelry is unique and exquisite. The blue butterfly jewelry collection is extremely popular and includes earrings, pendants and brooches in different shapes and sizes. About the Author: Thomas Lindblom is a freelance writer who is always looking for interesting topics to write about. This time he takes us to the world of butterfly art and mounted butterflies, a unique gift for special occasions.